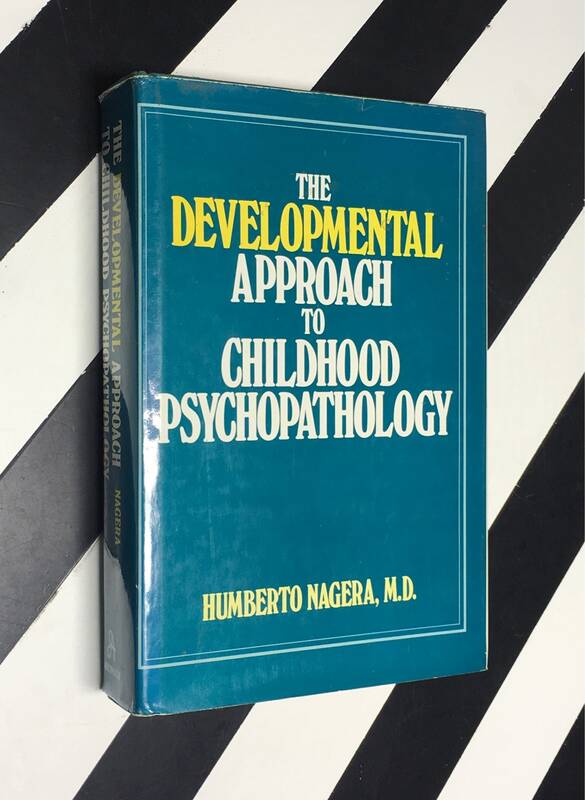 The Developmental Approach to Childhood Psychopathology by Humberto Nagera, M.D. 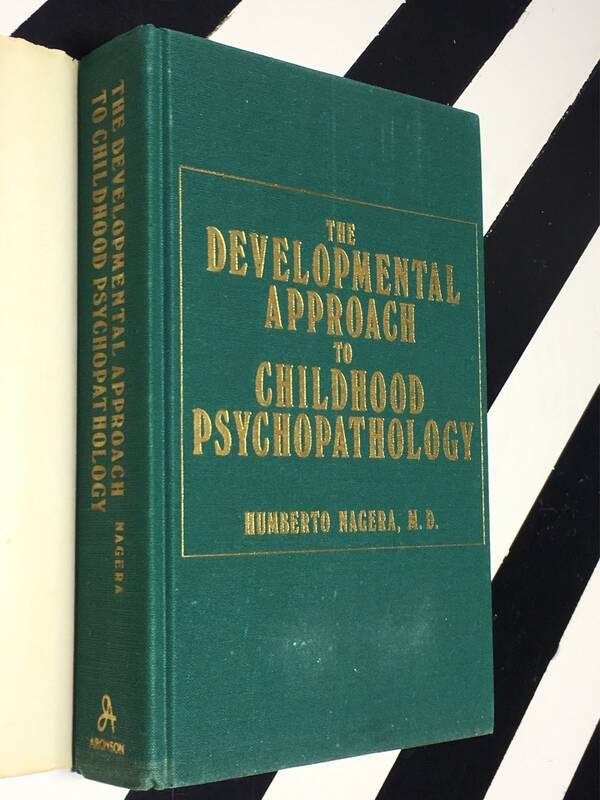 This copy is a hardcover book with dust jacket in fair condition. 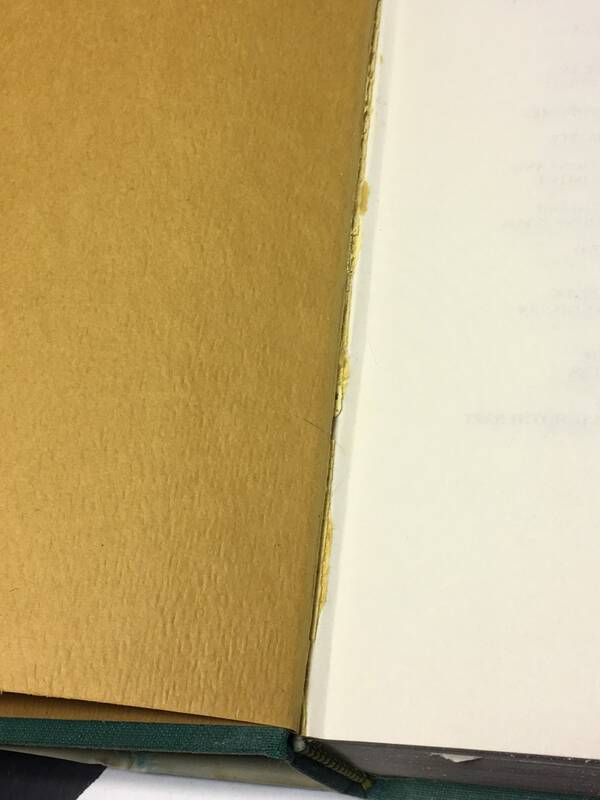 Minor chipping to perimeter of dust jacket as well as to the upper/lower areas of the jacket’s spine. 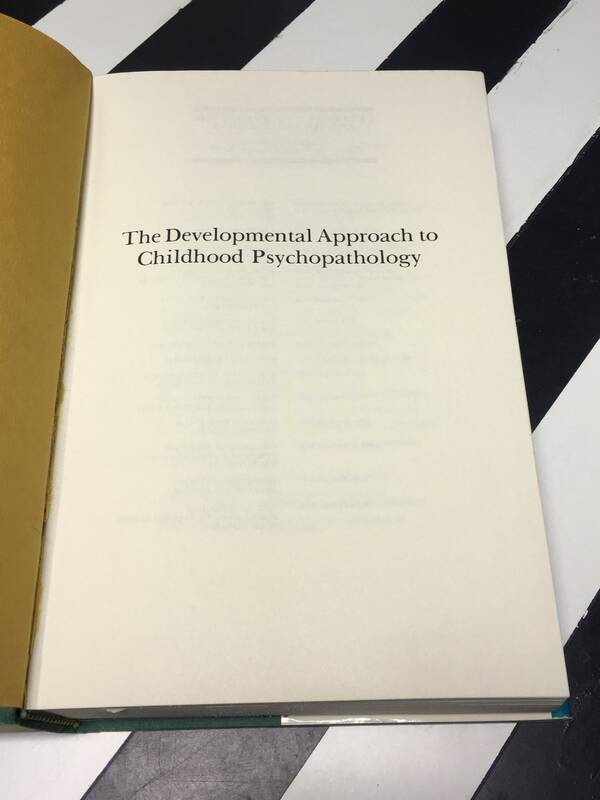 The dust jacket is not priced. 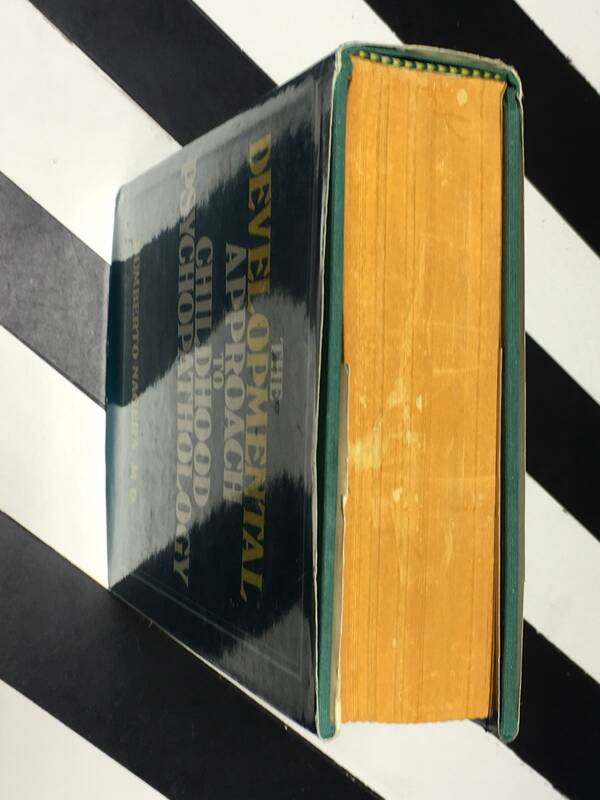 Binding is somewhat rolled with minor separation of text block from spine. Scratching, toning, areas of discoloration, and smudging to the edges of text block. 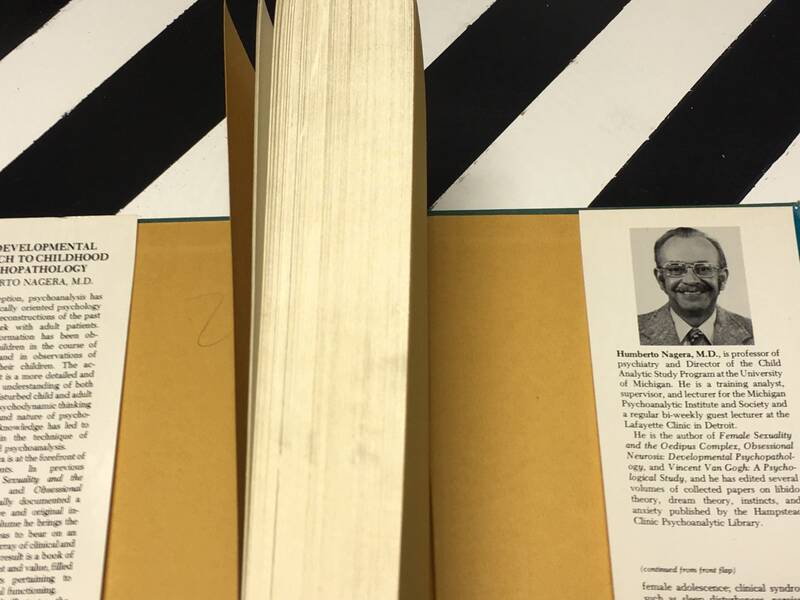 Minor toning to inner boards and pages of the text. 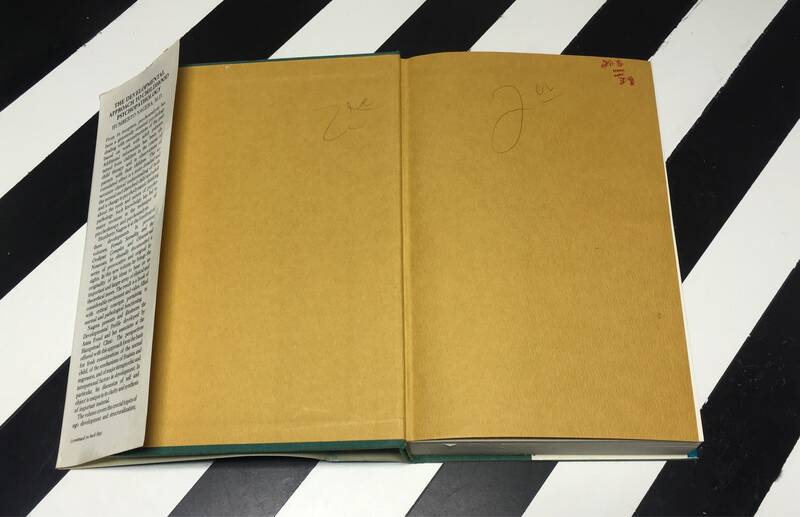 As pictured, previous bookstore pricing written in pencil as well as red grease pen to the front, inner board as well as to the front endpaper. 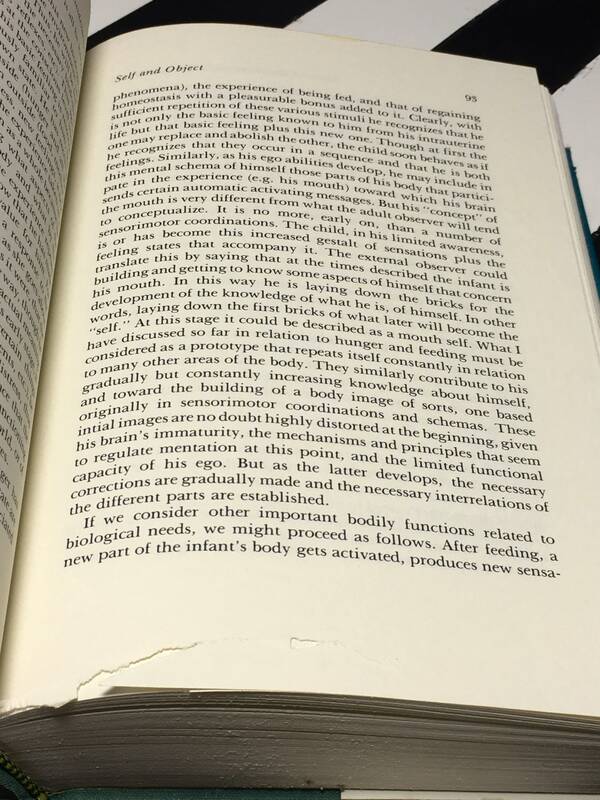 Area of damage to the lower edge of page 93/94. Text free from annotation and highlighting/underlining. 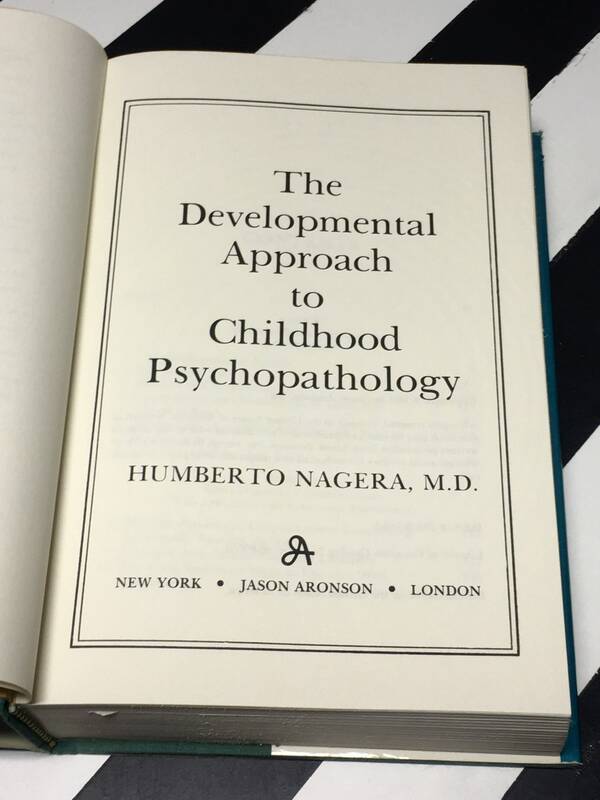 Published by Jason Aronson, Inc., in 1981. 507pp. 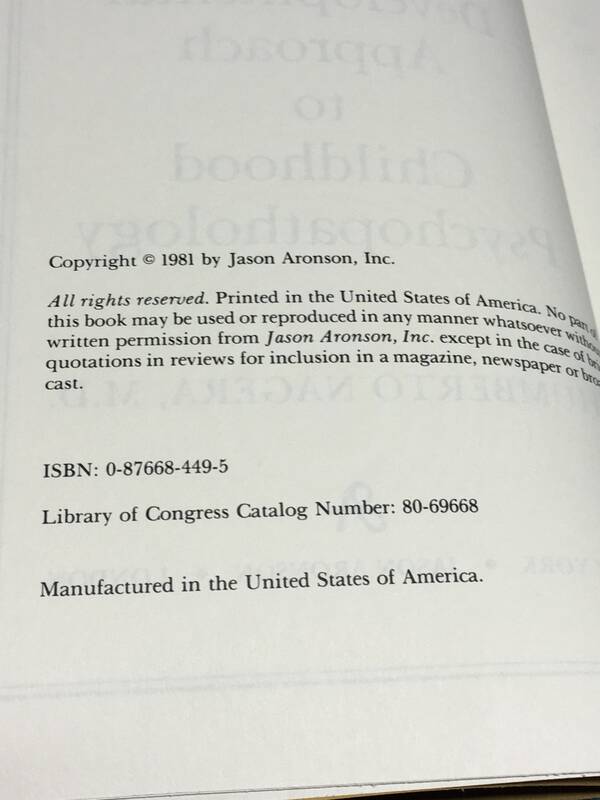 ISBN 0-87668-449-5.